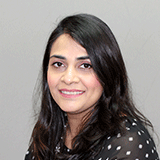 Halima Sadia recently joined PrimeCare as a Provider Specialist for Pasco and Pinellas counties. She graduated from the University of Tampa with a Bachelor of Science Degree in Public Health, with a concentration in Health and Wellness. Mrs. Sadia has completed a Health and Wellness internship at the Urgicare Tampa, LLC in Tampa where she identified operational efficiencies and strove to optimize patient care and satisfaction. She also has experience in sales and marketing and is experienced in product presentations to physicians, practice staff and nurses; and also is experienced in the organizational operations of an office. Mrs. Sadia holds certifications in First Aid, CPR, and AED.